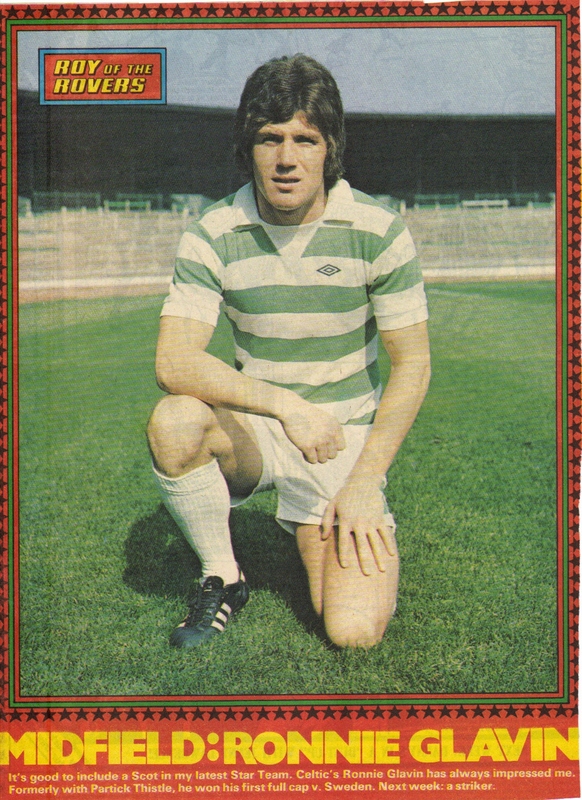 Someone requested a Ronnie Glavin picture so we are happy to oblige. This one is taken from a Roy and the Rovers issue from September 1977. Each week Roy Race would pick an in form player for his dream team and on this week in midfield it was Ronnie Glavin of Celtic. 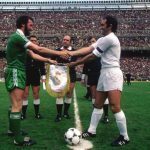 Notice that in football then there was no reference to wing backs, diamond midfield set ups and Christmas tree formations, this is when football was still relatively simple and less complicated. 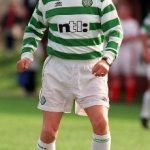 Glavin was an inside right (right midfield for all you youngsters) and wore the number 8 jersey (or shorts in Celtic’s case) as there were no nonsensical squad numbers back then. Glavin became Celtic’s record transfer in November 1974 when he signed from Partick Thistle for an £80,000 fee and moved on to Barnsley in June 1979. 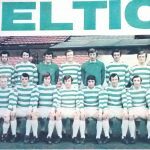 He experienced a great deal of change in the Celtic set up during his period, when he joined he was playing with McNeill, Johnstone, Brogan and Connelly and when he left he had been alongside Provan, MacLeod, Conroy and McCluskey. Ronnie was an attacking midfielder with a powerful shot and an eye for goal. 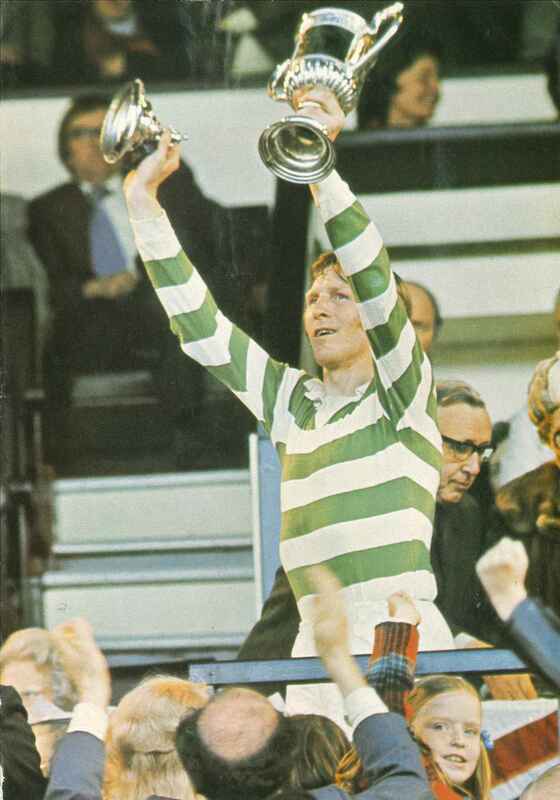 In the 1976/77 season he scored a tremendous haul of 26 goals although he was Celtic’s recognised penalty kick taker at that time. He won one solitary Scottish cap against Sweden in 1977 and received an injury which sadly prevented him from playing in the Scottish cup final against Rangers. 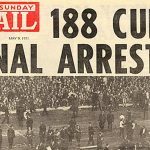 The problems came with the departure of Dalglish in August 1977; Ronnie continued to make the same runs but without Dalglish the supply had stopped and goals became more difficult to come by. 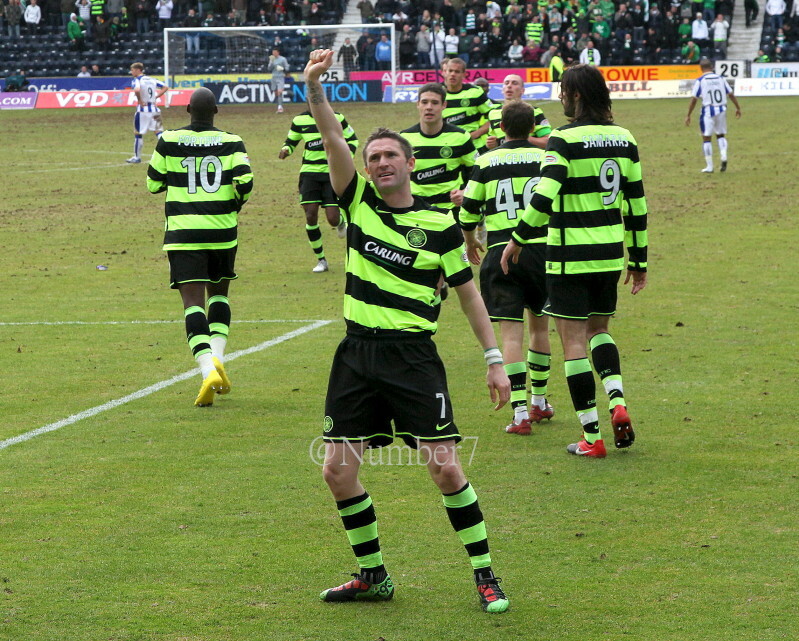 supporters were sorry to see him depart. September 5th 1931 whilst keeping goal for Celtic at Ibrox. tribute to John. There is a story which surrounds this particular picture. 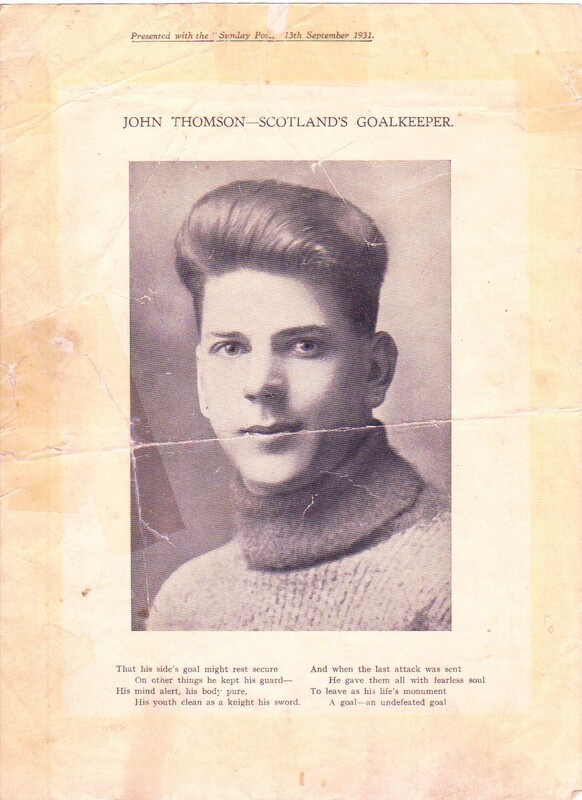 My Grandmother had a brother called Davie who was the same age as John Thomson and looked similar to him, having the fashionable young men’s hair style from that period. The irony doesn’t end there as Davie died only weeks before in a road traffic accident and as his family did not have a photograph of him they kept this in his memory in particular but also of John. In 2003 the last of my Grandmother’s siblings died and one of my Mother’s cousins’ found this in her belongings and it has now ended up with me. It’s now a family heirloom I will always keep. It’s not in pristine condition by any means but I wonder how many of them are still in existence today. search for Celtic’s John’. As Greig points out Sam English, who was involved in that fatal incident, never recovered and was in close touch with John’s family until his own death in 1967, visiting them at their home on many occasions. The Thomson family were religious people who never held Sam responsible in any way and despite the accident the Thomson’s became close friends to Sam English. In 2004 I visited John’s graveside in Cardenden. I had seen photos of it through the years but I can say it was a truly humbling experience standing there. Happily his monument is in fine condition and there were flowers and Celtic scarves at the grave. To this day Celtic supporters’ buses visiting the Fife area visit the grave in tribute to the young goalkeeper and surely always will. player from the past let us know.